Today the Washington Post has an excellent front page story by Carrie Johnson proving that one crooked Medicare provider with a laptop can steal even more than that–to be specific, one single South Florida Medicare/Medicaid provider bilked the United States out of $105 million. Hopefully, this will show the importance of the other news of the day: the House Judiciary Committee just announced that it will hold hearings on the False Claims Correction Act of 2008 next Thursday, June 19th. While the House bill largely tracks the Senate bill, it includes a number of additional provisions, including a provision addressing the interplay between Federal Rule of CIvil Procedure 9(b) and the FCA. This bill includes sponsors from both sides of the aisle, and hopefully more will come on board soon. The topic of today’s post is the recovery of mandatory attorney’s fees under the Virginia Fraud Against Taxpayers Act in Virginia state court. I find it interesting how many attorneys simply do not pay attention to maximizing the fee recovery under fee shifting statutes generally, although federal court practitioners tend to be a little more experienced in this area. There is also a well-developed body of case law in the federal system dealing with attorney’s fee awards and the factors that courts consider in making an award; in Virginia state courts, there is considerably less guidance. In the Fourth Circuit the factors set forth in Johnson v. Georgia Highway Express, 488 F.2d 714 (5th Cir. 1974) generally govern. Those factors (i.e., time and labor required; the novelty and difficulty of the legal issues involved; the skill and experience required to handle the case; the opportunity costs from being precluded from other work; the time limitations imposed on the lawyer; the result obtained, the reputation and skill of the attorney, and so forth) have been applied many times over the years. Additionally, federal practitioners in the D.C. area have the Laffey Matrix which is compiled annually by the Department of Justice’s Civil Division. Although it does not have the force of law, the Laffey Matrix does track the Uniform Price Index compiled by the Department of Labor for attorney’s fees. The Laffey Matrix also seems to be gaining popularity each year, and it is applied widely in major metropolitan areas. In Virginia state courts, however, the case law is sparse on attorney fee awards, although there is some guidance. In the Circuit Court for Fairfax County, I strongly suggest not following the fee petition suggested by the Fairfax County Bar, which is only two or three pages long. To be fair, the fee petition recommended by the FBA is probably quite sufficient for collections matters, or domestic relations cases, but as long as large fee awards are possible, I suggest practitioners follow the Virginia Supreme Court’s guidance. The Virginia Supreme Court has held that, in evaluating the evidence regarding the reasonableness of counsel fees, the fact finder may consider, (1) the time and effort expended by the attorney, (2) the nature of the services rendered, (3) the complexity of the services, (4) the value of the services to the client, (5) the results obtained, (6) whether the fees incurred were consistent with those generally charged for similar services, and (7) whether the services were necessary and appropriate. See, Schlegel v. Bank of America, N.A., 271 Va. 542, 556, 628 S.E.2d 362, 369 (2006). In making an attorney’s fee award, the trial court will be reversed only for an abuse of discretion. Tazewell Oil Co. v. United Virginia Bank, 243 Va. 94 (1992). It is important to remember that attorney’s fees are mandatory under the VFATA, and should be seen as a major portion of damages from the very start of the litigation. Even an award of a single $5,000 penalty under the VFATA would entitled the plaintiff to mandatory attorney’s fees. In litigation under the Virginia Freedom of Information Act (FOIA), the Virginia Supreme Court has upheld sizable awards of attorney’s fees. See, RF & P Corp. v. Little, 247 Va. 309, 440 S.E.2d 908 (Va.1994). In this case, the Virginia Supreme Court upheld the trial court’s award of $133,000 in attorneys fees for violations of Virginia’s FOIA statute, even where petitioner did not prevail on all counts in the initial ccomplaint. A party entitled to an award of attorney’s fees must establish a prima facie case that the fees requested are reasonable. Chawla v. BurgerBusters, Inc., 255 Va. 616, 623, 499 S.E.2d 829, 833 (1998). I have attached /files/116785-109034/bruggemann_decla.pdf”>example. These declarations were for an FLSA case, and so you would generally want to get declarations from attorneys familiar with false claims litigation under the Federal False Claims Act or the Virginia Fraud Against Taxpayers Act. However, such specialized knowledge is not necessary to support the hourly fee rate, as we see here. There is more Virginia case law available, and we will revisit this topic from time to time. Trouble on the Horizon: Fourth Circuit Affirms Judge Lee’s Dismissal of FCA case in United States ex rel. Godfrey v. KBR, Holds that Wrongful Terminations Claims under the FCA are Subject to Arbitration Clauses in Employment Contracts. On Friday, May 17th, the U.S. Court of Appeals for the Fourth Circuit affirmed the U.S. District Court for the Eastern District of Virginia’s dismissal of a lawsuit brought pursuant to the False Claims Act (31 U.S.C. § 3729 et seq.) by two relators against their former employers Kellogg, Brown & Root Services, Inc. and Services Employees International, Inc. The relators’ claims—arising out of the defendants’ alleged failure to deliver contractually promised services to the United States pertaining to the maintenance of trucks and other moving equipment in Iraq—were filed under seal in 2004 pursuant to the qui tam procedures of the FCA and served on the United States Attorney General and the United States Attorney for the Eastern District of Virginia. To read the district court opinion dismissing the Complaint in United States ex rel Godfrey v. Kellogg Brown & Root, Inc., click /files/116785-109034/USA_exrel_godfry_v_KBR_4thcir.pdf”>here. The relators alleged FCA violations in several different scenarios. First, relators alleged that the defendants failed to satisfy the contract’s maintenance and repair requirements by failing to perform routine maintenance procedures on trucks and other vehicles. Relators alleged that defendants (1) made false certifications; (2) wrongfully induced the United States to enter into the contract in violation of the FCA, and (3) engaged in a conspiracy to submit false claims to the United States for payment in violation of the FCA. Relators also alleged that they experienced unlawful retaliation when they were terminated from their employment, and thus brought claims pursuant to 31 U.S.C. §3730(h). The Fourth Circuit affirmed the District Court’s ruling that those claims were stayed pursuant to an arbitration agreement each employee signed at the outset of his employment. Affirming the district court’s dismissal, the appeals court held that the relators could not state an FCA claim for fraudulent inducement. The court reasoned that the defendants’ statement that they would perform the maintenance and repair work specified under the contract was not an objective falsehood, but was, at best, a disputed legal question. Turning to the fraudulent inducement claim, the court noted that, since the government form—known as a DD Form 1155—alleged to have been used to fraudulently induce the contract award was not executed until five months after the defendants’ work began, the statements contained in that document could not have induced the Government to contract with the defendants. Moreover, the court stated that because the DD Form 1155 is a standard, boilerplate government form without an express certification, the repair and maintenance language relied on by the relators in the DD Form 1155 was not material to the contract. Presumably, had the repair and maintenance language been of such profound importance to the contract, it would not have been included on the DD Form 1155, but would have been incorporated from some other, more specific, document attached to the contract. Much of this will come as no surprise to qui tam practitioners, as the Fourth Circuit has been one of only three circuits to read an implicit materiality requirement into the FCA. The FCA itself, of course, does not contain a materiality requirement, and many find it strange that the Fourth Circuit would take it upon itself to read such a requirement into the statute. With regards to the arbitration agreement the plaintiffs signed at the outset of their employment, the Fourth Circuit also followed its past precedent and held that the plaintiffs’ retaliation claims under 31 U.S.C. § 3730(h) were subject to mandatory arbitration under the Federal Arbitration Act (9 U.S.C. §3 and §4). Careful readers will note that the employment at issue here was for work related to trucks and other moving equipment in Iraq, and thus would seem to fall within the exception to the FAA for those engaged in “foreign commerce.” Interestingly, the employees had also signed a choice of law provision in their agreements, which called for the contract to be governed by principles of Texas law. Thus, the Court ruled, even if the FAA did not apply, the strong presumption in favor of arbitration under Texas law would suffice to compel arbitration. However, it is always for a Court, and not an arbitrator, to decide whether the provisions of an arbitration agreement apply. A.T. Massey Coal v. International Union, 799 F.2d 142 (4th Cir. 1986). Moreover, general contractual defenses, such as duress, fraud or unconscionability may apply and may be grounds to invalidate arbitration agreements. Doctor’s Associations v. Casarotto, 517 U.S. 681 (1996). Given the fact that the filing of an arbitration action would undoubtedly count as the sort of public disclosure which is prohibited by the FCA, practitioners should take note that the holding in this case does very little to actually change the basic procedure of a qui tam filing. Qui tam complaints must still be filed under seal, and issues related to the enforceability of claims under §3730(h) can be dealt with at the time of unsealing. Perhaps the most problematic aspect of the Court’s ruling for qui tam practitioners will be that clients may be more likely to attempt to initiate arbitration proceedings on their own, prior to retaining counsel. Counsel will have to be vigilant to warn potential clients that any such filing will count as a public disclosure, which will almost certainly disqualify them from pursuant a False Claims action later. Virginia Medicaid Fraud Control Unit receives National Award and Recovers More than $650 million in one year! Yesterday, the Virginia Office of the Attorney General’s Medicaid Fraud Control Unit (MFCU) recieved the the “Inspector General’s State Medicaid Fraud Control Award.” To view the press release, click here. On a related note, the Virginia Office of the Attorney General now basically pays for itself! If you ask me, this is a direct result of Virginia’s fine tradition of law enforcement. This will mark the third blog post in our occasional series dealing with filings under the Virginia Fraud Against Taxpayers Act from across the Commonwealth. In previous posts, I shared the first complaint filed under the VFATA, along with the first “Notice of Intervention” ever filed by the Office of the Attorney General in Commonwealth of Virginia ex rel. Va. Turf Management v. Resolute, et al. (1) a private party with evidence of wrongdoing hires private counsel, assembles his or her evidence with their counsel, prepares a lengthy, detailed disclosure of all of the material evidence they have, and submits this disclosure to the Virginia Office of the Attorney General. The party initiating the action is often called the “relator” instead of “plaintiff.” At this time, of course, the entire case is not to be discussed with anyone outside the Office of the Attorney General and the relator’s counsel. To do so could derail the entire case. (2) After serving the disclosure statement and all of the evidence in a relator’s possession, the relator, through counsel, files the Complaint under seal in the appropriate Circuit Court. See my earlier posts on filing under seal for more information here. (3) The sealed Complaint is served on the Office of the Attorney General, who will then have 120 days to investigate. At the end of the 120 day period, the Commonwealth with do one of three things. The three choices of the Commonwealth are to either file a “Notice of Intervention” (which means that the AGs office will take over prosecution of the case) or the Commonwealth can move to dismiss the entire case, on the grounds that the Complaint is not well-founded, or for some other reason. Finally, the Commonwealth can file a “Notice of Declination.” If the Commonwealth files a Notice of Declination, it means that they are not going to take over prosecution of the case, but that the relator and his counsel should be allowed to prosecute the case on behalf of the Commonwealth as well as on behalf of the private relator. As noted earlier, it was not until last year that the Commonwealth filed its first notice of declination, which required an Order to unseal the case and issue the summonses, which you can view here. This is my case, and it is still in litigation, so I am somewhat limited in what I can say here, except that I hope this contributes to the public understanding of the statute. While I am as big a fan of the D.C. Examiner as anyone–and I especially enjoy the work of William Flook, one of their staff writers–I cannot let the blather that was passed off as an editorial yesterday stand without comment. Of course, I realize that editorials are specifically intended to take controversial positions on pressing issues of the day. Editorials are intended to spark letter writing, discussion, and debate. Moreover, there is no doubt that the False Claims Correction Act of 2007 is among the pressing issues of the day, regardless of whether you agree or disagree with it, so it is fair game for editorial writers. My problem–and the reason I label the editorial as blather–is not that the article takes a position I disagree with. The article yesterday is blather because it is not an editorial at all. In fact, the article yesterday does a grave disservice to the art and tradition of editorializing in the American press. I would have enjoyed reading a well-written, intelligent editorial raising good arguments against the False Claims Correction Act–although I would still reserve the right to blog in response. The simple fact is that this editorial was written by someone without any understanding at all of basic legal terminology and basic legal concepts–never mind the political history and economics of the False Claims Act. It was obviously written by someone with an obvious bias who was not concerned with being taken seriously by educated readers–in other words, someone with no business writing editorials for a D.C. area newspaper. First, the author’s complete ignorance of basic legal terminology is offensive. The article consists of 408 words total, and the words “class action” appear no less than seven times. This is complete stupidity, because the FCA does not, never has, and never will, have anything to do with class actions. Rather, I mention this first because it shows the author’s obvious ignorance, and highlights his or her efforts to trot out the old familiar terminology instead of actually contributing something to the debate. Any further discussion of this logical error would quickly devolve into dry legal stuff, so I will move on. Leaving aside the fact that the FCA enjoys bipartisan support, Republicans have often been at the forefront of the FCA. The primary proponent of the original statute was Abraham Lincoln, the very founder of the Republican Party. In fact, the FCA was known for years as “Lincoln’s Law.” In 1986, Ronald Reagan breathed new life into the FCA by signing the 1986 FCA amendments. John Ashcroft, the first Attorney General under President Bush, was a zealous advocate for the FCA–and he was in no way in favor of class actions or plaintiffs lawyers. These are just two examples that occur to me off the top of my head–the list could go on and on. for alleged fraud that in most cases doesn’t even exist. Fraud against the federal government doesn’t exist? The author obviously has no clue–about government contracting, healthcare, social security, the budget process, politics, or anything else. I wonder why the Department of Health and Human Services bothers to publish all of those work plans for fraud investigations if there is no fraud? Why do we even have an Office of the Inspector General at all? Why do we have so many criminal laws criminalizing Medicare and Medicaid fraud if there is so little fraud? And then I saw the next page, and everything became clear. The next page features a quarter-page advertisement from the U.S. Chamber of Commerce and the Institute for Legal Reform, two voices against the FCA. Obviously, this ignorant editorial was quickly written to pander these deep-pocket advertisers, whom the D.C. Examiner can scarcely afford to lose. I cannot resist the urge to throw in a jab at the U.S. Chamber of Commerce here. Government, in all of its forms, does not create wealth; rather, government redistributes wealth. A large part of politics today turns on the who, where, when, why and how the wealth of the American people is redistributed. Players like the U.S. Chamber of Commerce, I think it is fair to say, are generally against increased government, and in favor of the privatization of government functions. The U.S. Chamber of Commerce would, I think, agree with me that private industry is, as a rule, more efficient and cost effective than government. So I find it interesting that the U.S. Chamber of Commerce protests so vehemently against the privatization of law enforcement by statutes such as the FCA. Could we not get more efficient and cost effective law enforcement through privatization? You bet, and that is why we have laws such as the FCA. The U.S. Chamber of Commerce is only in favor of some privatization, however, and they are all in favor of redistribution of wealth, so long as the money is redistributed to business. The False Claims Correction Act of 2007, like everything in civil society, is and should be the subject of intelligent debate and discussion. The D.C. Examiner’s Editorial of May 6, 2008 contributes nothing to the public debate about the False Claims Correction Act. Moreover, by trotting old familiar emotion-laden words like “class action” that have nothing to do with the FCA, the editorial became nothing more than a rant–and a pandering one designed to keep a deep pockets advertiser happy, at that. An article published by two professors at the University of Chicago should be of some interest to readers of this blog. See, Blowing the Whistle: Which External Controls Best Reveal Corporate Fraud? The link is to a newsletter distributed by the University of Chicago and not to the paper itself. The sub-title of the linked article says, “New research suggests that the best way to promote fraud detection is to extend the Federal False Claims Act to corporate fraud.” At the risk of sounding snobby, I would like to point out that is not, strictly speaking, an accurate way to conceptualize what the study says. The Federal False Claims Act, of course, applies to “any person”–whether a natural person, a corporation or other limited-liability entity, or an unincorporated entity, or any combination thereof–who makes a false claim to the government for money. The law levels the playing field for the government by removing the more onerous burden of proving fraud — instead, one needs only to prove that a party made a claim to the government that it new was false. But the real power of the statute lies in its qui tam provisions, which give any person with non-public knowledge of a false claims being made to the government the right to retain a lawyer and prosecute the case in conjunction with the United States Department of Justice (or, under our VFATA, the Office of the Virginia Attorney General). So, what the subheading means to say, I think, is that the unique qui tam structure of the Federal False Claims Act–which allows private citizens to prosecute cases on behalf of the government and calls for a percentage of the government’s recovery to be paid to the party who blew the whistle on the fraud–should be extended to the corporate governance sphere. In other words, private citizens should be deputized in the corporate world. And thus the article strikes upon one of the themes of this blog: the utility and effectiveness of private law enforcement generally. We do not need to go so far as qui tam to see that private law enforcement is effective. At any rate, check out the study, it is worth a read. It is well known that the Virginia Fraud Against Taxpayers Act–like its counterpart the Federal False Claims Act–provides for treble damages against anyone submitting false claims to a government entity for payment. But the VFATA and the Federal False Claims Act also create civil penalties for each violation of the law–that is, for each false claim submitted for payment. These civil penalties are, for all practical purposes, a liquidated damages provision that encourages individuals to blow the whistle, and encourages lawyers to learn about and prosecute these claims, even in cases where the dollar amount of each individual false claim might be very small. Moreover, civil penalties under the VFATA and the FCA are mandatory. A trial court may exercise its discretion as to whether the higher or lower amount of penalties is awarded, but the Court does not have discretion to reduce the number of penalties. See, United States v. Cato Bros. Inc., 273 F.2d 153 (4th Cir. 1959). Civil penalties have been a feature of the Federal False Claims Act since it was first passed during the American Civil War in 1863. The civil penalties called for in the first Federal False Claims Act were $2,000 per claim. Currently, the Virginia Fraud Against Taxpayers Act provides for civil penalties of between $5,000 and $10,000 for each false claim submitted to the Commonwealth. The Federal False Claims Act provides for penalties of between $5,500 and $11,000 for each false claim. If anyone feels that the imposition of such a penalty is too harsh, consider this as proof of Congress’ intent to add teeth to the FCA — after adjusting for inflation, in today’s dollars the original False Claims Act called for penalties of $41,000 for each false claim. One of my stated purposes in starting this blog was to create interest in the Virginia Fraud Against Taxpayers Act and in qui tam practice in general. 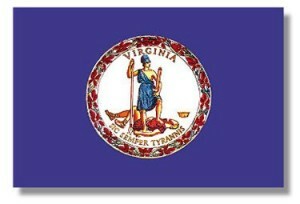 In order for statutes such as the Federal False Claims Act and the Virginia Fraud Against Taxpayers Act to achieve their goals, it is necessary to build a public-private partnership between qui tam attorneys in private practice and our counterparts in the Virginia Office of the Attorney General and the United States Department of Justice.